Kuala Lumpur has its own unique charm. Although crowded and busy (before and after working hours), Kuala Lumpur is home to a number of marvellous places which make the city worth visiting. Once the tallest building in the world, the Petronas Twin Towers is an iconic man-made structure in Kuala Lumpur. Petronas Twin Towers is the city’s one of the frequently visited tourist attractions. You can visit lower floors as the upper floors are taken up by corporate offices. You can shop at Suria KLCC, visit Petronas Art Gallery, or take a leisure walk at KLCC Park. Apart from the Petronas Twin Towers, the KL Tower is another iconic structure in Kuala Lumpur. It draws inspiration from Persian and Islamic architecture. Visit the viewing deck of the tower to enjoy stunning views of the city’s skyline. You can dine while enjoying the priceless views in Atmosphere 360. Thean Hou Temple is a multi-storey Chinese temple located atop Robson Heights. The temple has become popular for its intricate exterior work which includes phoenixes and mosaic dragons. Thean Hou Temple is also emerging as a hot tourist attraction in Kuala Lumpur. Like to party? Head over to Zouk Club and drink, dance, and mingle to your heart’s content, Zouk Club has different partying spaces and you can choose the right one, as per your music preferences. Tourists will face no problem gaining entry, make sure to carry your passport with you. If you are a fan of buffets, then Rebung Restaurant is a must-visit place for you. What’s special about Rebung Restaurant is that it offers dishes which you can only find in Malay homes. In the restaurant, you can leisurely walk around and choose the dishes you’re interested in eating. Often, the restaurant’s buffet consists of veg, no-veg, and seafood items as well as condiments/spreads. Central Market (aka Pasar Seni) is one of the most popular markets in Kuala Lumpur. Here, you can get your hands on local arts and crafts such as woodworks, paintings, batik prints. You can even treat your taste buds local snacks and drinks. Does street food make your mouth water? If yes, then head over to Jalan Alor. 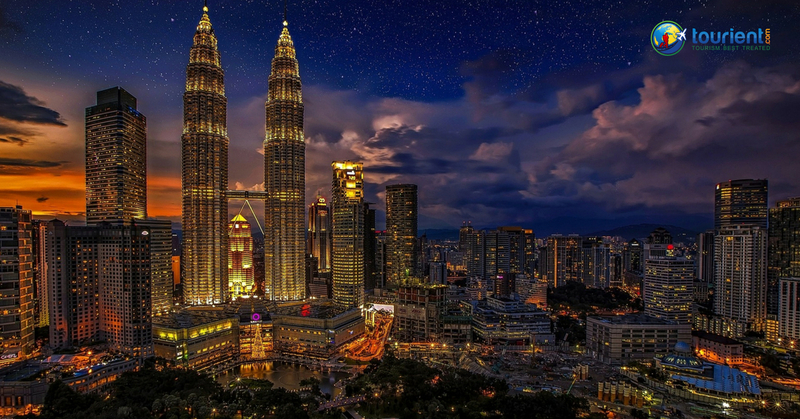 It is a popular street in Kuala Lumpur where you can find tons of food outlets offering delectable food items, some of which include barbecued meats, noodles, and desserts. Chinatown (aka Petaling Street) is the best place to buy imitation goods. Here, you can bargain till you get the best deal. You can visit the street during any time of the day. You can also treat yourself with different types of food items. Longing for a trip to Kuala Lumpur? Book your holiday package without any hassle from us. Explore our international tour packages at http://www.tourient.com.